Share your passion and feel free to blog about your wedding afterwards, even send us a video and we would be more than happy to upload it to our website for everyone to view. 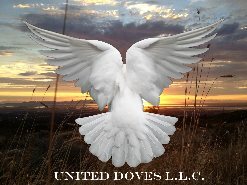 To see for yourself how inspirational the experience of a white dove release can be, simply click the links below. Our appointments to book the doves for your special occasion are automated through our system. United Doves Release- Emery County Miner’s Memorial Dedication 06-11-2016- Courtesy of Carmen V.
Release of white doves at a wedding provides a unique wedding idea. 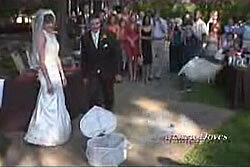 Create a unique wedding with a white dove release! Wedding release video at Trapnall Hall. Hospice Homecare Memorial Service (Garvan Woodland Gardens). Dove release at Baseball Game (Ray Winder Field). Dove releases are great for all special occasions!